The European Union confirmed Friday that it's ready to start the second phase of Brexit talks. EU officials congratulated Prime Minister Theresa May. But any celebrations are likely to be short-lived. Phase two of the talks promises to be much harder than the first -- a point underscored by German Chancellor Angela Merkel -- and analysts say it's highly unlikely that Britain can negotiate a free trade deal with the EU before it leaves the bloc. Britain has yet to figure out what kind of relationship it wants with the EU, its biggest export market, once it has left. May has said that the U.K. will leave the EU's internal market and customs union on March 29, 2019. But beyond those red lines, little has been settled. Britain must decide whether it wants to negotiate continued easy access to EU markets or accept barriers to trade. Settling on a preferred course of action has been made more difficult by the fact that her cabinet, which has different views on what the "end state" should be, has yet to debate the issue in detail. The EU called on Britain to "provide further clarity on its position on the framework for the future relationship." Europe also said Friday that it will not finalize its negotiating guidelines on a future trade relationship until March. That leaves very little time to talk. 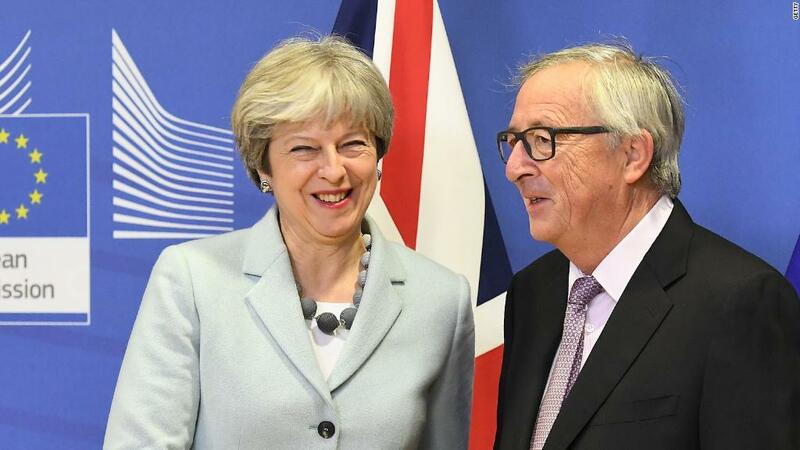 A deal settling the divorce, as well as the framework for future trade, security and other relations needs to be drafted by October in order to give the EU enough time to ratify it before the Brexit countdown clock runs down. U.K. lawmakers are also demanding a vote on the deal before Brexit takes effect. Can a major free trade agreement be negotiated in eight months? Experts say it borders on the impossible. Trade talks are difficult under the best of circumstances, and comprehensive deals can take years to thrash out. A free trade agreement between the EU and Canada, which included some service industries, took seven years. The remaining 27 EU states will have different priorities when it comes to trade, and will face an intense backlash from labor unions and businesses if their interests are not protected. "I have no doubt that the real test of our unity will be the second phase of the Brexit talks," European Council President Donald Tusk said Thursday. Britain has its own priorities: It will seek to minimize trade barriers in key sectors of the economy, such as financial services, autos and aerospace. The EU has signaled that it's open to negotiating an agreement like the one it has with Canada. Davis is even more ambitious, saying he wants "Canada plus plus plus." 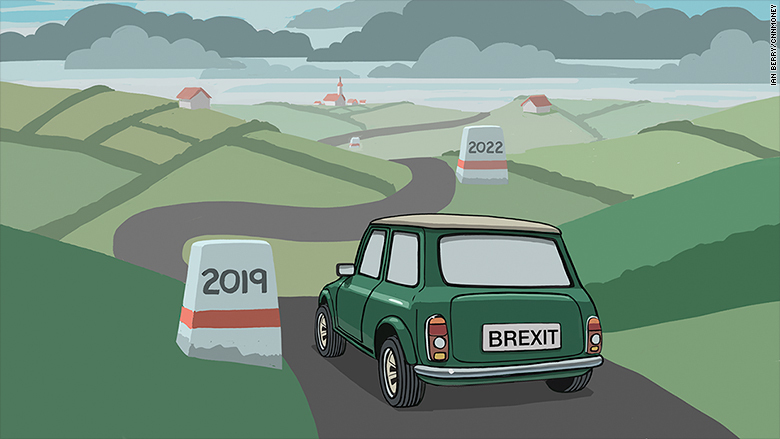 Given the very slim chance of a new trade deal being ready by March 2019, Britain will need a transition period after Brexit that will avoid businesses having to adjust to new rules and regulations twice. May has asked for an "implementation period" of two years, but many businesses say they need at least three. Europe is ready to discuss such a transition, but only if Britain is willing to accept all EU law -- including new laws passed during that period -- and EU judicial oversight. Meanwhile, Britain won't have a say in any new EU rules.